Hard as it might be to believe, the polar vortex will thaw away, and spring will follow close behind, bringing America’s best pastime with it. Soon, the crack of hard-rubber on wood and the faint scent of freshly mowed grass will return as fans of all ages don their team’s cap, grab a hot dog (with onions and ketchup, of course) and settle in for an afternoon of baseball. Yes, baseball will return soon. However, a few weeks before pitchers and catchers report to camp, the Baseball Writers’ Association of America (BBWAA) announced the inductees to the Hall of Fame for 2019. While congratulations are in order for Mariano Rivera and company, the real story, for the seventh year in a row, is the slugger who once again fell short in the voting. A little explanation for the non-baseball diehards out there: 425 members of the BBWAA fill out ballots every year with the names of the players they are voting into the Hall of Fame. A player must be named on 75 percent of the ballots to be inducted. A player becomes eligible for induction five years after retiring, and then will remain eligible for 10 years. 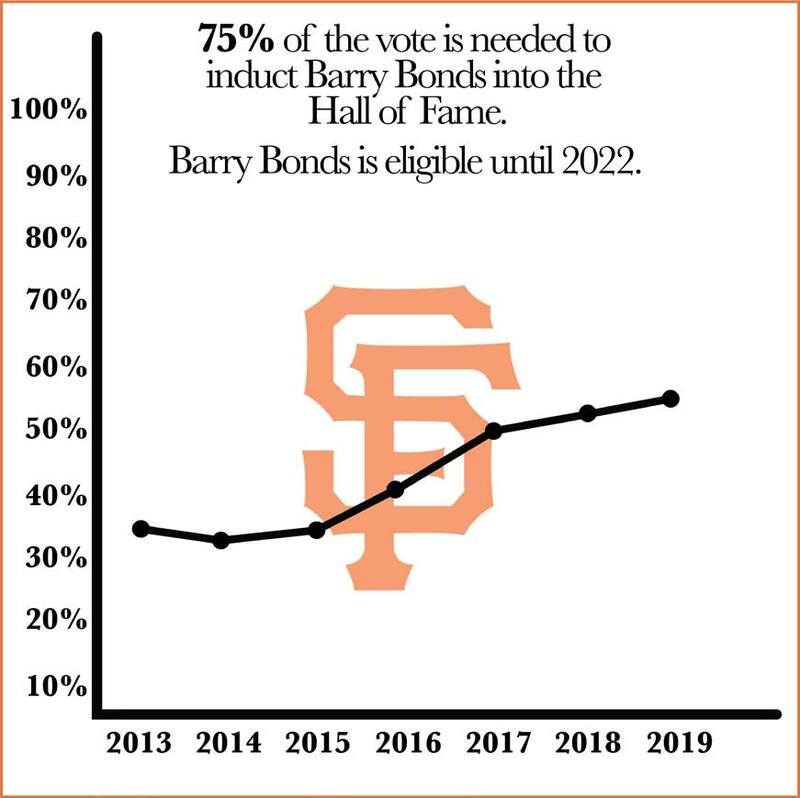 With only three years of voting eligibility remaining, it is likely that Barry Bonds will never obtain the 75 percent of votes necessary to be inducted into Cooperstown (he received 59 percent in 2019), even though his play on the field and his impact on the game deserved first-ballot induction. Barry Bonds absolutely belongs in the Hall of Fame. Ask anyone who saw Barry Bonds play, and they will likely tell you he was the greatest player they had ever seen. Fans of Bonds certainly have a compelling case to make that he is the greatest player of all time. But some will never even consider that case, due to the links between Bonds and the use of performance-enhancing drugs (PEDs) during his career. As initially reported by Mark Fainaru-Wada and Lance Williams, reporters for the San Francisco Chronicle and authors of the book “Game of Shadows,” Bonds has ties to Victor Conte and the Bay Area Laboratory Co-Operative (BALCO). Bonds was a direct client of BALCO, and his personal trainer, Greg Anderson, is known to have distributed steroids to the athletes he trained. While Bonds never tested positive for any banned substances, there is grand jury testimony and a paper trail that raises suspicions to his use of several illicit drugs. Perhaps an even better indication, the eye test, shows the dramatic change in Bonds’ body between the 1998 and 1999 seasons, when he gained more than 20 pounds of muscle mass (Google the pictures and see). The argument for Bonds in Cooperstown is not to say that he never used steroids. Many claim it, he denies it, and the answer will never be certain. The argument for Bonds in Cooperstown is his body of work, before and after being suspected of steroids, and the era in which he played that allowed a culture of steroid use. Before the 1999 season, when critics claim he likely started juicing, Bonds had a career batting average of .290 and he had over 400 home runs and stolen bases, the only player to reach that number in both categories. He was a three-time MVP and earned eight Gold Gloves, an award recognizing the best player defensively for each position. Bonds was 33 years old in 1998. If he retired immediately after the 1998 season, Bonds would have been a surefire, first ballot Hall of Famer. Take away every season in which he was suspected of steroid use and he deserves the votes. 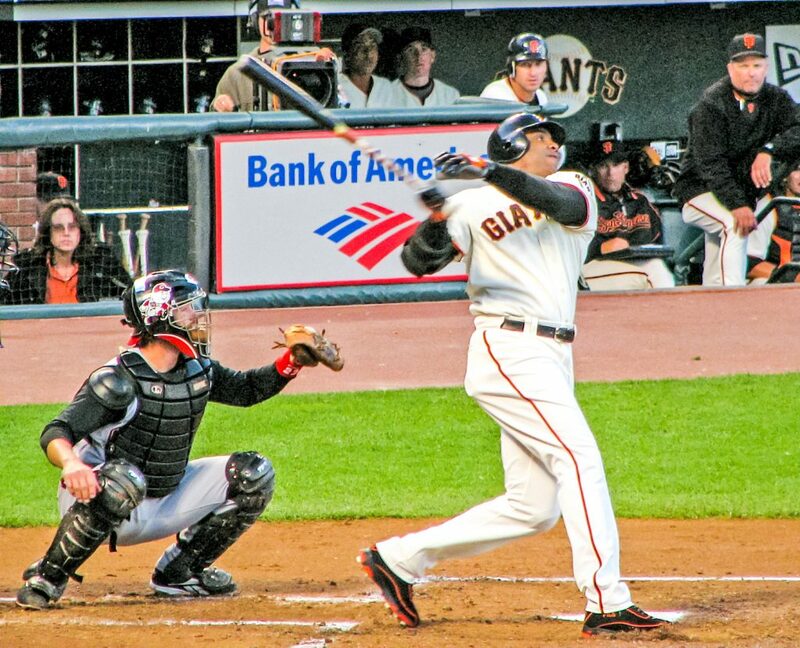 Include his career from 1999-2007, and Bonds goes from Hall of Famer to the greatest hitter who ever lived. He is the all-time leader in home runs (762), walks (2,558) and is a career .298 hitter who amassed almost 3,000 hits (2,935). Bonds was such a force from the plate that in May 1998 he was intentionally walked with the bases loaded in the bottom of the 9th inning, his team trailing by only two. But perhaps the more important point for the Hall of Fame voters to understand is the era that Bonds was playing. During the 22 years of Bonds’ career, 45 percent (20/44) of MVP winners have either admitted or been tied directly to steroid use. This is where the hypocrisy among the voters truly shines through. In recent years, Ivan Rodriguez and Jeff Bagwell, two men both accused of steroid use, have been inducted into the Hall. Another Hall of Famer, Mike Schmidt, has said that if he had played later into the 90s, he likely would have used steroids. Frank Thomas, a 2014 inductee to the Hall, currently appears in commercials for a testosterone boosting supplement. 762 — Barry Bonds ranks first all time in home runs, ahead of Hank Aaron and Babe Ruth. Bud Selig, former commissioner of baseball, was inducted into Cooperstown despite accusations that he intentionally overlooked the steroid crisis in baseball. Under his watch, Major League Baseball did not implement drug testing among players until 2003. Again, it is worth stating that Barry Bonds never failed a drug test administered by the league. The Hall of Fame proclaims on their website that their organization is “committed to preserving the history of America’s pastime and celebrating the legendary players … who have made the game a fan favorite for more than a century.” Barry Bonds is forever an integral part of the history of the game, and it would be a disservice to the fans and to the integrity of the sport if one of the all-time greats, the Home Run King of baseball, is never voted into the Hall of Fame.